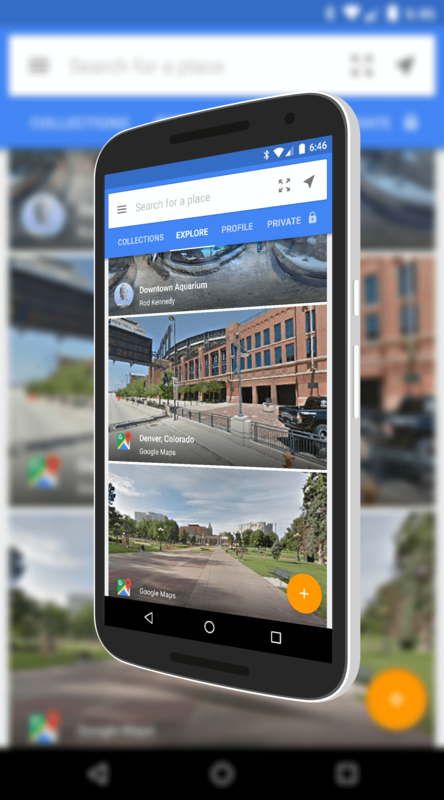 The latest update to Google Street View brings a handful of enhancements to the VR-meets-map app, including a much improved handling of Photo Sphere images. The update is version 2.12 for those keeping score at home and it is rolling out to the Google Play Store now. In the update, you can now create a connection between photo spheres within the app and you can tap and hold to select multiple published photo spheres. Photo spheres are automatically grouped together in the app as well so you can find them a bit easier when you are looking at a location in the app. head scratcher and almost seems contradictory to the efforts Google has going on to get people up to at least Lollipop but preferably Marshmallow. Regardless, support for the now 2 year old version of Android is there now for those still on that release. Finally, you will notice a more refined overall look to the app. The banners above each collection or area you explorer are gone and now the images are larger, taking up the full width of the screen with a text overlay on the images instead of above them in banners. This look falls in line with the recent update to YouTube for Android where you see a larger image. If you haven’t checked out Google Street View in the past, it is a free app and actually a good bit of fun. It is a great way to explore areas in your own hometown or in place you are thinking of visiting. Want to have some fun? Search for your favorite baseball or football stadium.